Lama Zopa Rinpoche and Lama Yeshe in Geneva, Switzerland, 1983. 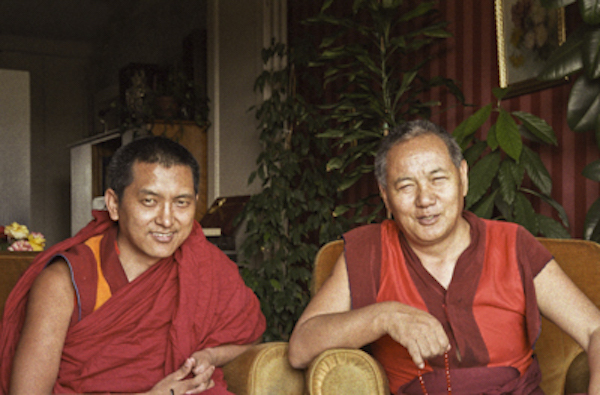 Photo by Ueli Minder, courtesy of Lama Yeshe Wisdom Archive. “The happiness we desire, the suffering we do not want, the happiness we try to get, the suffering we try to eliminate all come from the mind—not from somebody else’s mind but from our own,” Lama Zopa Rinpoche instructs in a multimedia teaching “Finding Peace in Everyday Life,” published by Lama Yeshe Wisdom Archive in October. The Archive’s multimedia teachings include text, video, archive photos, and links to additional resources. Realize that the nature of your mind is different from that of the flesh and bone of your physical body. Your mind is like a mirror, reflecting everything without discrimination. If you have understanding-wisdom, you can control the kind of reflection that you allow into the mirror of your mind.